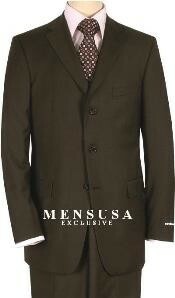 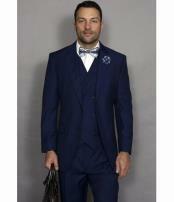 Mensusa https://www.mensusa.com/articles/italian-cut-suit-designer-suits-for-the-most-fashionable-looks.html Italian Cut Suit- Designer Suits For The Most Fashionable Looks Italian cut suit such as armani and Brioni are the men's italian designer suits brands you have always wanted to try. 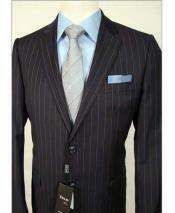 Designer Italian suits are some of the most sophisticated and top rated designer suits in the world.Some of these brands have been around for decades, meaning over time they have perfected their craft and are able to provide you with designer materials in the best fabrics, fit and styles out there. 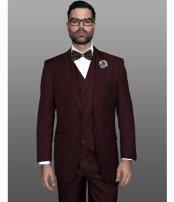 This is your guide to the characteristics of the italian cut suit in general and some of the top brands where you can find the exact suit cut, color and style you have been dreaming of for ages. 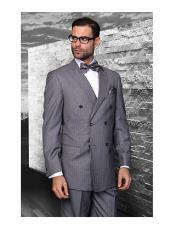 Now that you can invest in a designer Italian suit, let's see what's out there. 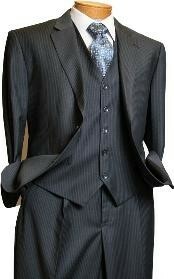 First, here's a quick crash course in the Italian suit in general. 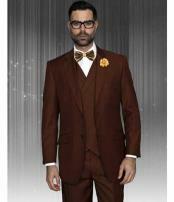 Here is what to look for and the benefit of this trendy type of suit, if modern and chic is the kind of look you are going for in purchasing an Italian suit from some of the top designers out there. 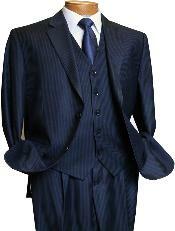 Italian designer suits, characteristically, are slim cut, so they hug your body, which can be a great compliment to your shape if tailored carefully. 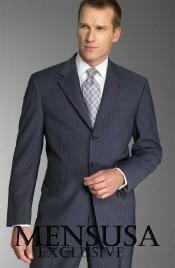 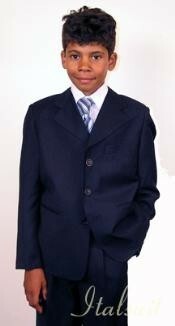 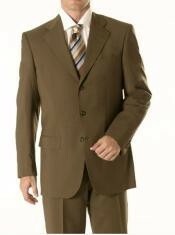 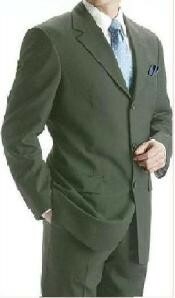 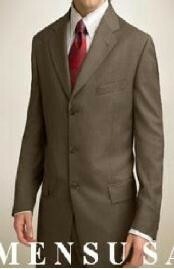 Italian suit jackets are tight-fitting on purpose, shorter and have padded shoulders. 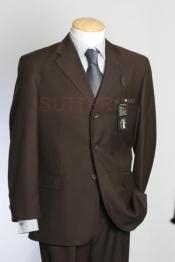 Generally Italian suits also have buttons that are placed higher on the suit jacket than on other suits and notched lapels as well. 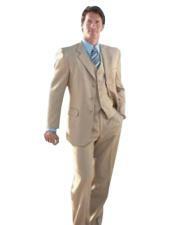 The trousers of Italian suits are tapered at the waist and hug the hips, so certainly if you are going for form fitting, the Italian suit is the ideal choice for you. 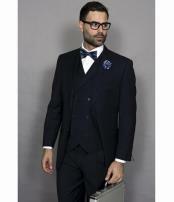 Now that you know whether or not you are cut out for the luxurious and sophisticated Italian suit, here are several key Italian suit designers you should most definitely browse if investing in a piece of top designer apparel to add to your wardrobe is on your agenda. 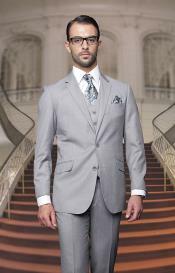 Ermenegildo Zegna designer top-notch suits come in the most elegant of materials, styles and colors for the most formal and sophisticated occasions. 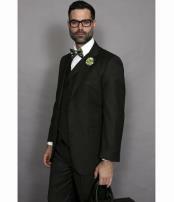 You can go for the blue milano trofeo, the blue mohair torino, navy mohair torino or milano trofeo, the grey silk and trofeo or the simple black wool tuxedo, all reasonably priced considering the fine tailoring and materials. 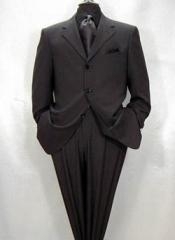 Ermenegildo zegna also sells other men's wear, formal and semi-formal as well as shoes and other accessories to sharpen your classy look even further. 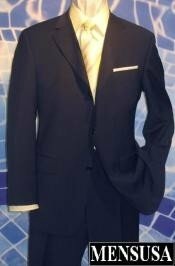 Whether you're heading to dinner, a business meeting, a wedding or another occasion, the armani suit will leave a trail of class in your wake. 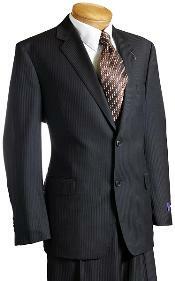 Any suit design and style imaginable, you will find in the armani suit collections, and the quality is certainly worth it. 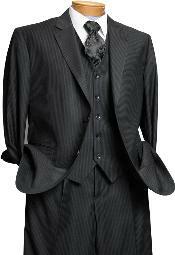 You can find your slim fit suit, your single breasted suit or double-breasted suit, your dinner tuxedo and more. 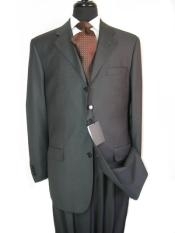 You can also find other designer clothing available through armani as well, so whatever you are looking for or if you are shopping for someone specific, chances are you will find what you need. 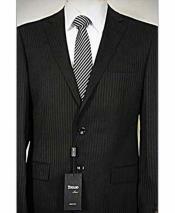 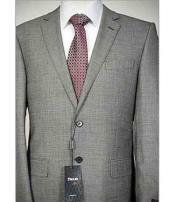 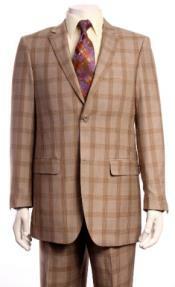 You will recognize Brioni designer suits from a few of their most well known wearers: james bond and donald trump. 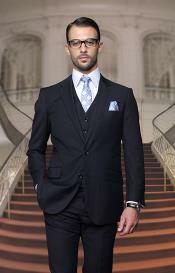 If that doesn't do it for you, brioni is the maker and distributor of the vanquish II suit, made from the rarest combinations of fibers in the world and only 100 of which are created annually. 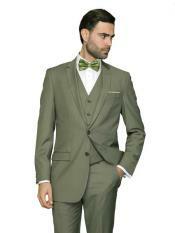 Their spring and summer collections offer a large variety of men's apparel for you to invest in the best and most quality dress and materials you can get. 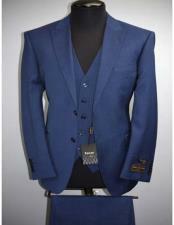 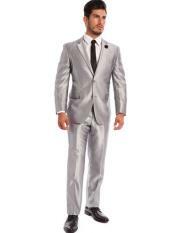 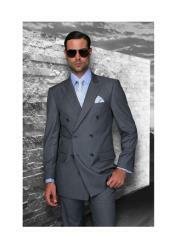 Kiton is Italy's top designer brand when we are talking Italian suits. 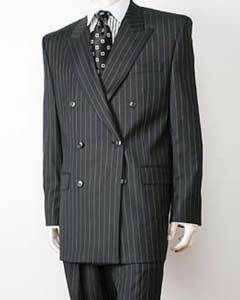 Most notable of all their designer suits is the K-50 suit, which is made from merino sheep wool, hand-stitched and takes around 50 hours to make. 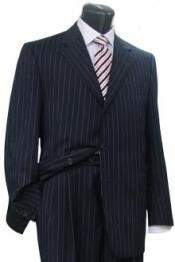 It's tailor only makes 50 of them each year, understandably so, hence the name. 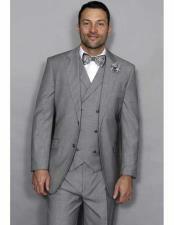 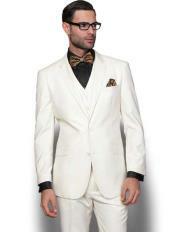 Kiton's spring and summer collection will dress you in some of the finest and most fabulous fabrics and styles around. 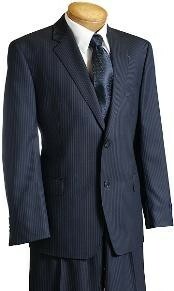 If you're going to go for Italian suit designers, you will probably want to consider investing in a Kiton. 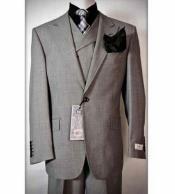 Whichever brand you choose, you know you will be taken care of. 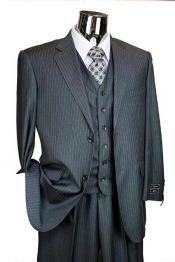 Ordering custom through these brands means you will be paying for the finest mens suits italian you can get, and if that if what you are hoping for, these and several other top designer Italian brands are here to serve you, literally. 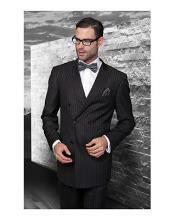 Don't be shy or be afraid to show off your sophisticated style. 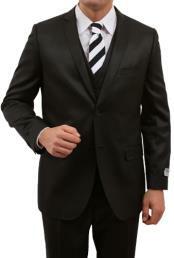 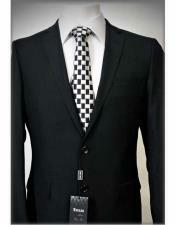 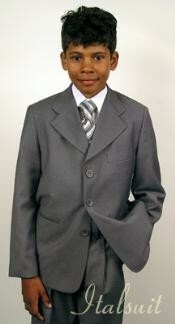 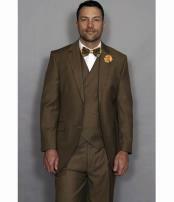 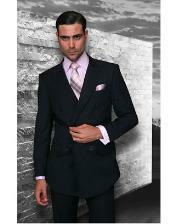 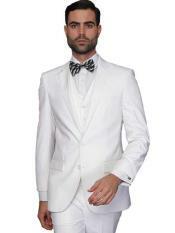 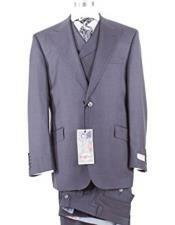 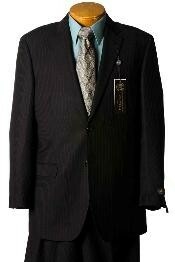 With a designer Italian suit on, you will be able to assert your authority and show the room that you mean business. 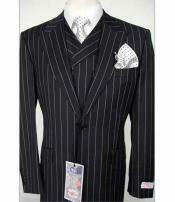 Check out these designers for the best suits your dollars can buy.